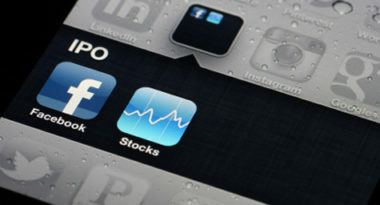 Facebook’s long-awaited IPO last week is still generating buzz as industry analysts continue to reconcile their expectations with reality. Opening with a record-setting $104 billion valuation and $38 share price, the social network’s stock market debut set another record with the highest number of shares traded in a company’s opening day. Yet since shares finished trading at only 23 cents above the opening share price, Wall Street is now debating whether the debut was a disappointment for not closing higher, or a success based on investors deeming the price as fair. Regardless, we think it’s better to focus on the fact that Facebook has seen its valuation soar from $4.9 million at its founding in 2004 to reach $104 billion in only eight years. Let’s take a look back at how Facebook’s evolution sparked the social media revolution. While a Harvard University student in 2004, Mark Zuckerberg and his roommates began writing code for a new website they referred to as ‘thefacebook.’ His goal was to create a website that would allow people at the university to contact and communicate with each other. Membership was initially limited to students at Harvard, yet was soon expanded to other Ivy League and Boston-area schools. By the summer of 2004, Facebook was incorporated and its headquarters were moved to Palo Alto, California. In 2005, the name was shortened to Facebook and the social network expanded worldwide with international versions, high school networks, and corporate access. By 2006, Facebook was open to anyone over age 13 with a valid email address. Over the next few years, Facebook brought social media networking to the mainstream and the company experienced both enormous growth and increasing competition from similar social start-ups such as Twitter and existing platforms such as LinkedIn. Social media was becoming an increasingly popular means of personal communication. As a result, businesses took notice and began to enter into social networking as a way to reach these consumers. While Facebook maintained social dominance, Twitter and LinkedIn were rapidly growing and expanding the social sphere. At the same time, the explosion of mobile smartphones led to the popularity of geosocial networking, a form of social media networking that allows users to connect with local people and places through location-based services such as Foursquare, Yelp, and Gowalla. Its rapid acceptance among young, tech-savvy users has provided a major boost to local businesses. In recent years, smaller social media networks have started expanding at a phenomenal rate in response to the demand for platforms that are more specialized, private, or interest-based. Some of these include the image-oriented Pinterest and the photo-focused Instagram. Pinterest has become one of today’s fastest-growing start-ups, increasing from fewer than one million users in May 2011 to nearly 20 million in April, according to comScore. This image-oriented social media site allows users to “pin” images of interest to an online pinboard and share them with a rapidly growing online community. Pinterest’s female-skewed audience makes it a magnet for businesses and brands looking to reach this highly coveted demographic and increase their exposure among such sharing-oriented users. As further evidence of Pinterest’s popularity, the company recently received a $100 million investment from a group of investors led by Japanese online retailing giant Rakuten, Inc. in a deal that reportedly values the U.S. company at $1.5 billion. Instagram has been another star in the world of social media. Facebook’s recent acquisition of Instagram for $1 billion boosted the already strong momentum for the photo app to new heights. In addition to increasing the app’s popularity and market awareness, the purchase is expected to make usage soar. While Facebook has stated that Instagram will remain a separate entity, the company’s management tool, Vitrue, already offers Instagram management services and analysts predict that the company will develop additional ways to blend Instagram into its social and advertising platforms. The latest social shift has revolved around social media expanding into search marketing. As the lines between social and search continued to blur, search engines quickly realized the opportunity to leverage the power of social media to advance their own search capabilities. This led to Microsoft partnering with Facebook and launching the Bing social Sidebar and Google’s debut of Google+ and Google Plus Your World. These platforms provide the search engines with a new spectrum of social media resources and relevance. Looking forward, Facebook is poised to leverage its new public status and advance social media networking and advertising in even more promising and profitable directions. Social networking has launched a veritable revolution, yet only time will tell what that means for Facebook’s evolution. To learn how to incorporate Facebook into your company’s marketing strategy contact MDG Advertising today at 561-338-7797, or visit mdgadvertising.com. At MDG Advertising, our 360° marketing approach uses just the right mix of traditional, online and social media to reach your marketing goals. While some industries may fare better on TV and others on Facebook, we strive to create a balanced approach where digital and traditional marketing efforts support each other and your message is tailored to the medium.